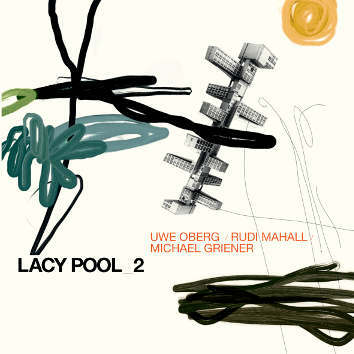 Lacy Pool is a small group of musicians whom Uwe Oberg picks to unlock Steve Lacy's compositions. Why no bass? Uwe Oberg: "That never was a question. I wanted the band to function unlike a jazz quartet and it should not have a soprano sax. Now Lacy's pieces were mine and ours, and it got easier and easier, everything fell into place. The clarity, the repeating motifs, the collage approach, the deconstruction, the flow. What fun!" Uwe Oberg - piano, Rudi Mahall - clarinets, Michael Griener - drums.